The River Somme is also full of memories, as it was at the heart of some of the bloodiest and deadliest World War One battles. You can visit this area full of emotional memories. - In Péronne: Museum of the Great War. Click here to find out more. - In Albert: The Museum of the Somme Battle of 1916. Click here to find out more. For Art Deco enthusiasts, Albert which was very damaged during WWI was rebuilt with many Art Deco facades. - The Franco-Australian Museum of Villiers-Bretenneux. Click here to find out more. Our region has been inhabited for thousands of years, go to the natural prehistoric park Samara to discover more about our prehistoric ancestors. Click here to find out more. 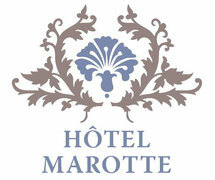 Please don’t hesitate to ask anybody at the reception of the Hôtel Marotte for any further information. You can also contact Amiens’ Tourism Information Centre. Click here to find out more.